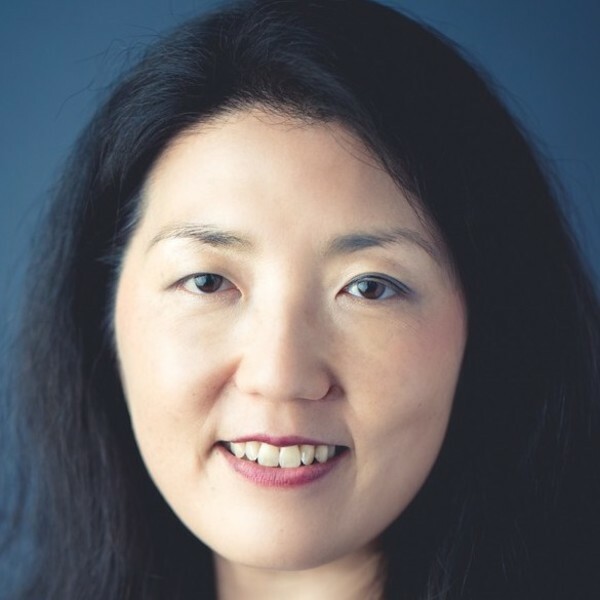 Megumi is an author, consultant, coach and facilitator on strategy, leadership and culture and business performance analysis. She has over 20 years experience with clients including ANZ Bank, National Australia Bank, Roche, JBWere, and Department of Defence as well as with smaller for-profit, government and non-profit organisations. Megumi’s book “Start Inspiring, Stop Driving: Unlock your team’s potential to outperform and grow” and the concepts within have helped numerous leaders find practical ways to tap into the talents within their teams and organisations. She is also the founder of Quietly Powerful, a movement helping people harness their quieter nature as leadership strengths. A lot of nuggets in your book-“Start inspiring. Stop driving’’ one of them being “having an inspired team is no longer a nice to have’’ What is an inspired team and how does a manager create one? An inspired team is a team that knows what they’re doing and more importantly, are committed to why they are doing it and therefore go out of their way to achieve the shared goals. The reason why I wrote this book is because I have seen many managers trying to achieve such a team by telling them what to do and driving them hard. My research and observation suggest that driving them will not inspire a team. Because they are being driven, they are in the passenger seat. In other words they are passive, rather than taking turns at the driving wheel. The three key elements I suggest that managers create with their teams are Alignment, Confidence and Engagement (ACE). Through a fictitious story the book shares the experience of a manager who had some of these elements missing in his team. The manager in the book tries different strategies and by the end of the book he sees the team shift from being very dependent on him to becoming an ACE team. What you will find through the story, the explanations and theories is that managers cannot just tell people to get aligned, be confident and get engaged. It simply doesn’t work. What kind of organizational workplace culture leads to talent remaining dormant and what are some of the ways to address this? Any organisational or team environment that causes people to feel threatened will cause people to hold back their true talents. In such environments, all of their energies will go to survival and self-protection, such that there will be no energy left to perform and contribute their best talent. This threat can come from a range of different sources; from being excluded, feeling exposed, humiliated or simply that their job security is threatened. It may be that they don’t feel valued or fairly treated, or they feel they constantly have to justify their work. The threat can be small or large. As long as it affects people, they are more likely to be in a reactive, survival mode, not able to bring their best. The way to address this issue is twofold- by addressing the context, behaviours, decisions that may be creating a threatening environment or to help individuals cope and shift their perspectives so that they can respond more proactively. What are the mindsets that unleash personal strengths at work? First is to recognise that every one of us has strengths and weaknesses and be comfortable with that. I have come across people who struggled to identify or acknowledge their strengths, even when others tell them what they are. Second thing that may help is to loosen our perspectives on what we believe to be strengths and weaknesses. Depending on the context and depending on how they are used, what we believe to be strengths can become weaknesses. For example, my strength of independence can be a weakness when working in teams, unless I am careful how I use my independence. Also what we believe to be weaknesses can become strengths or differentiators. I used to believe that my somewhat limited vocabulary in English (as English was my second language growing up) was a weakness holding me back from writing and speaking. I have had enough feedback to now realise that it can be a strength as I write and speak in simple language! The key question to ask yourself is: How can I leverage my strengths and weaknesses to be most useful in the context I am in? You use the term thwarted talent. What is that and how does that happen? What I am suggesting by the use of the term thwarted talent is to incorporate the thinking that not only is it the individual that has the talent, but the environment in which they are has just as much to do with how much talent they are able to contribute. I’m sure you can think of times when you were at your best in an environment where you were supported, you felt trust with the team and you felt you were contributing your best. And other times that even though you are the exact same person, you were not performing at your best because of the environment you’re in. Social scientists claim that an individual’s behaviour is determined largely by the environment (70%) and a lot less by the individual. That means that talented people go unnoticed or hindered by the environment. Too often, individuals get blamed for under-performance rather than addressing it as both an individual and systemic issue. One of your other areas of expertise is helping quieter professionals to succeed on their own terms. What can organizations do to nurture and tap the talent in such individuals? Secondly, they can raise awareness about the value of quietly powerful leadership and incorporate it in performance and development conversations, leadership development, talent identification, succession planning. Organisations can also choose to develop talented quieter professionals in a targeted manner to unlock their potential and raise their profile. You not long ago indicated that what good leadership looks like needs an update. How would you redefine good leadership? Unfortunately, what I still see is that there’s a gap between what we say we want versus who we imagine to be a ‘strong leader’. There’s still an unconscious, emotional, possibly primitive attachment to the alpha, heroic leader. My article, “Strong leadership ≠ dominance” refers to this point. My other article “Bias towards style over substance is keeping your real talent hidden” raises the point that we need to challenge our unconscious assumptions about what a leader needs to look, sound, feel like. For example, we assume we need to come across as confident and outspoken to be a leader. As briefly described in “The definition of what good leadership looks like needs an update”, it would help to go back to first principles and consider the purpose of leadership – what leadership is for. When considered more holistically, we can see that there are all kinds of styles and approaches needed for effective leadership, and that leadership can be fulfilled by a mix of different types of people. I love your question that “If we all want leaders who listen, why don’t we have quieter leaders?” Do you have an answer? I’m still investigating the answers to this question. I have spoken to a senior executive who had a hypothesis that because we are so time poor and decisions are made very quickly, we make decisions without questioning our cognitive biases. Other research I am coming across suggests that we ‘fall for’ charismatic leaders, so we are not making rational decisions. I’m going to write an article about this soon, so if you would like to find out the answer or at least my take on the answer please join my quietly powerful newsletter so that you don’t miss the answer to the question! The impact is largely assessed by the experiences of people I work with, what they think, feel and do after working with them for a period of time. Some have had concrete success such as being appointed to more senior roles, others have experienced greater confidence in speaking up or putting their hands up for opportunities. The other measure is the level of interest and engagement in the topic. “Quietly Powerful” started off as a small experiment where I invited 15 people to a breakfast 2 years ago. This year has seen more than a dozen requests to speak on the topic from organizations and conferences, including a conference where there were 1200 participants.